My skin has always been pretty unpredictable. It’s gotten much more manageable since I found a skincare routine that works for me, but sometimes serums and moisturizers can’t stop a stress breakout. So why not take my unruly skin and turn it into an opportunity to test out a foundation? 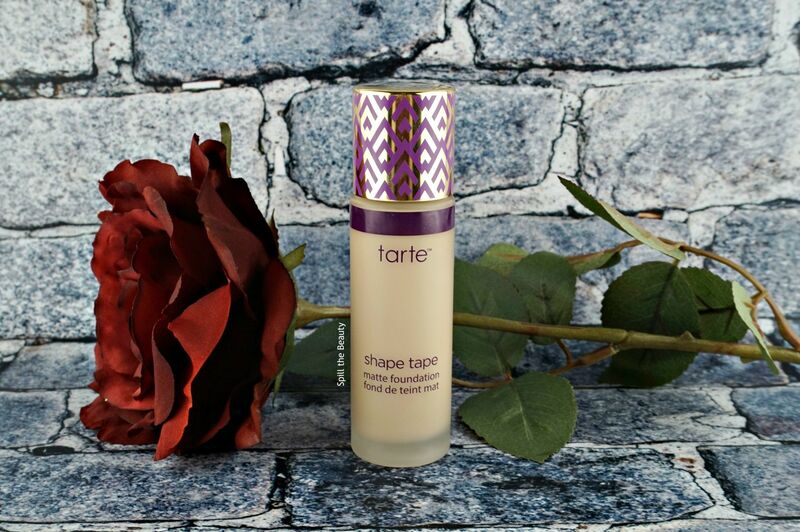 Back in February, I did a long review on the Tarte Shape Tape Hydrating Foundation. 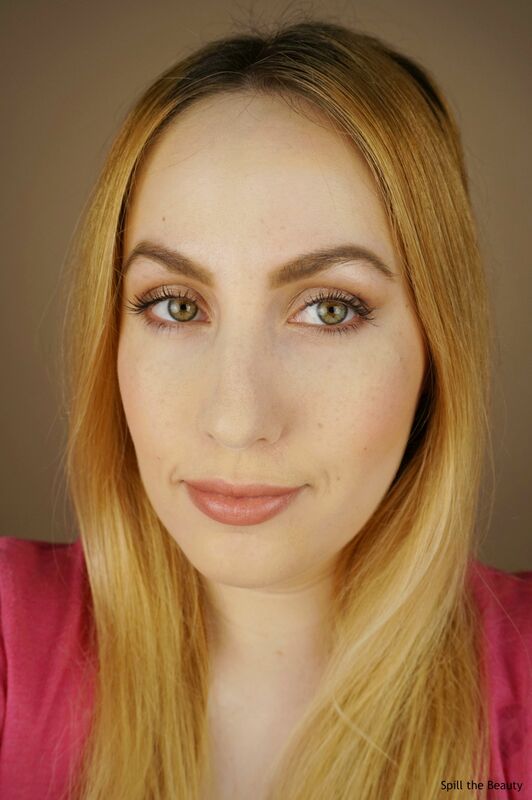 Even though dewy skin is in, when your complexion starts getting red and blotchy, sometimes the most satisfying thing for me to do is cover it up with a matte finish (the stress breakout was in full force…..I needed to trick myself into thinking I had manageable skin for a few days). 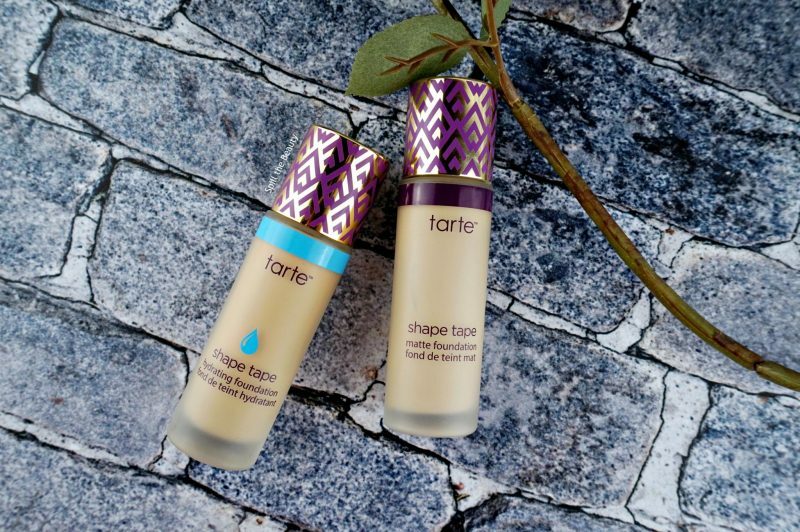 The Tarte Shape Tape Matte Foundation comes in the same packaging as the hydrating finish – same applicator and almost the same bottle (just with different text, no water droplet, and a purple band below the cap, instead of a blue one). I had a weird time with this foundation. The first time I wore it and had a great experience. It survived a 14-hour day, complete with a full day of school and a solid power nap. 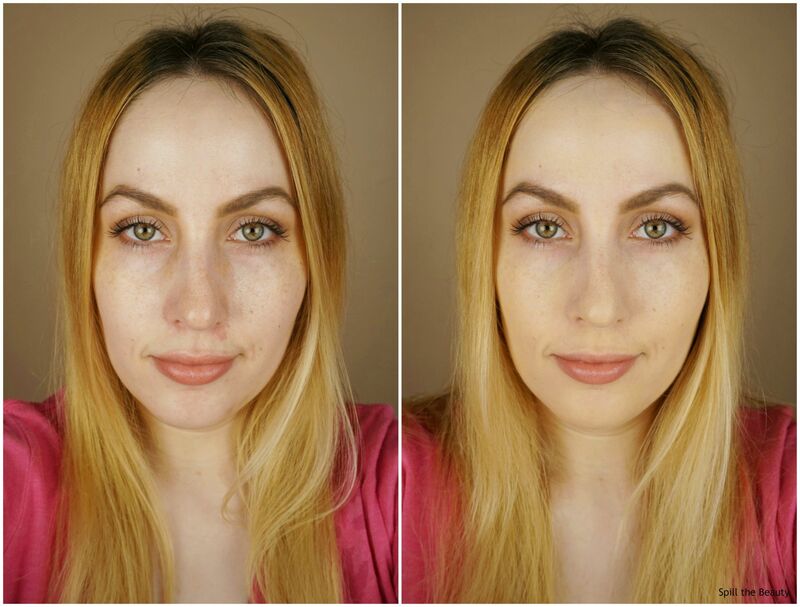 I was really pleased with how it held up – minimal product breakdown on my T-zone (although I did blot at one point during the day) and the matte finish wasn’t too mannequin-like, since I applied it to achieve a light to medium coverage. It would cling to my dry patches a bit, but nothing too noticeable. The formula wasn’t so matte that it was uncomfortable to wear – there were points during the day when I forgot I was wearing foundation. 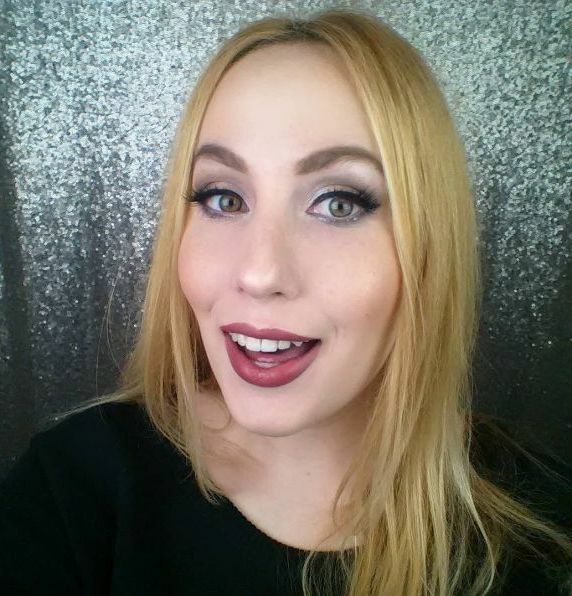 However, the next few times I used it, I found that it had broken down on my nose into streaky lines, which is a huge deciding factor for me when searching for a foundation since I don’t want it to look like I applied it with a rough paintbrush. 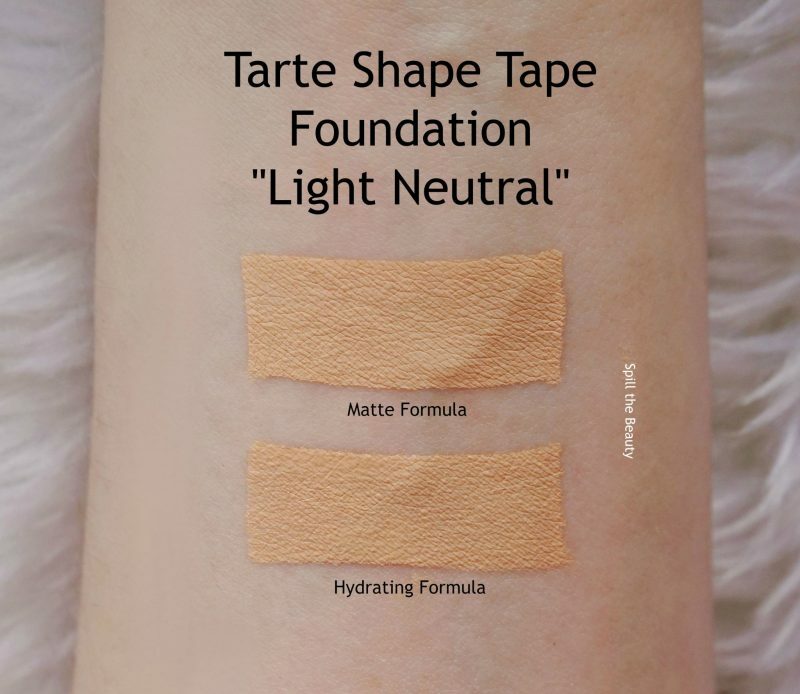 I also noticed that the “neutral” shades leaned quite yellow, so that’s something to note if you’re someone who requires a specific undertone. All in all, this formula was inconsistent for me. I can’t figure out when it’ll last well on me and when it will break down. Out of the matte and the hydrating formula, I’d pick the hydrating one, purely because I know what to expect when I use it.